We've certainly not enjoyed the best weather, this summer. But that hasn't stopped many Unlocked the Law readers from taking out gym memberships in search of that perfect beach body! TGI figures show that across the UK there are almost 4.5 million adults with a gym membership. However, research shows that only 27% of gym members regularly go to the gym. Indeed, according to consumer watchdog Which, about £37 million is wasted annually on unused memberships, in the UK! A number of readers have written in to ask for some tips on how to cancel their contracts. So, if instead of dropping the kilos you're in fact throwing away the pounds, read on. ... and it's also in that summer desert! In all seriousness, however, if you have signed a written contract with your gym, then you will be bound by the terms of that agreement. So - always make sure you carefully read the terms and conditions of any contract (gym or otherwise) before you sign up. Often, gyms will allow you to cancel as long as you give one month's notice. However, others may tie you into a minimum term contract. Your first step, therefore, is to read the small print and - in particular - check the section on cancellations. Wasn't there an OFT Investigation? Yes there was. Your right to cancel a gym membership was looked at in detail by the Office of Fair Trading (OFT), in 2013. The OFT investigated Fitness First, David Lloyds and Bannatynes. Following that investigation, it managed to persuade these chains to allow clients to cancel early (or at least freeze their contracts) if they had a change of circumstances. If you're a member of one of these gyms and if you have experienced a change of circumstances that makes going either difficult or unaffordable, then you may be able to now cancel, mid-contract. A change of circumstances would include, for example, suffering an injury or the loss of your job. In addition, these three chains agreed to be clearer with customers about automatic contract renewals, and also to be more transparent about cancellation rights (and indeed for these to be provided upfront as part of the sales process). Later in 2013 (and following another OFT investigation) LA Fitness, Dave Whelan Sports Ltd and Harlands Group agreed to make similar changes. 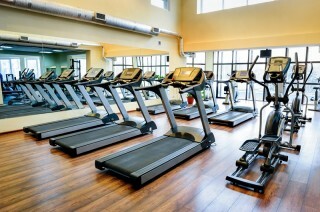 In particular, LA Fitness and Dave Whelan agreed to cancellation rights for gym goers who move house or re-locate from their place of work by more than 10 miles (15 miles for Harlands Group). LA Fitness also pledged to stop offering longer-term 24-month contracts. So What about Other Gyms? If you're not a member of one of these gym chains, all is not lost. That's because gym membership contracts cannot be unfair. If your gym contract is unfair, it might fall foul of the Unfair Terms in Consumer Contracts Regulations 1999 (regardless of the gym or chain of gyms that you are a member of). Unclear wording in your contract (the OFT says that all contracts should clearly explain minimum contract periods and notice periods). There is no gym watchdog, sadly, so you're options are limited. The first thing is to write to your gym, directly, and explain that you wish to terminate (and why). If you don't get a response (or the response you want), you need to escalate the matter to the head office. Make sure you include in your letters a reference to the Unfair Terms regulations (and even the OFT guidance), so they know that you're savvy. Make sure, also, that you send your letters recorded delivery, so that they can't deny ever receiving them. If this does not work it's then worth trying to involve UK Active, which is a trade association (but only if your gym is a member). It's free and they just might be able to help (ukactive.com/index.html). Beyond that, you have two remaining options. Firstly, you can contact the OFT's successor body, the CMA (Competition and Markets Authority), which may take an interest if you are pursuing the matter based on unfair terms. Secondly, you can roll your sleeves up and try to sue your gym in a Small Claims Court. Consumer law is always changing. So, for the very latest information about your rights in relation to gym memberships, make sure you check Unlock The Law regularly.